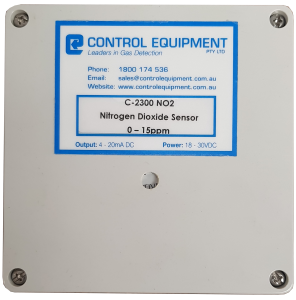 The heavy duty electrochemical sensor is a diffusion style head that is ideally suited to meet a wide variety of toxic gas detection needs. The C2300 can be wired into any controller as well as into any existing BMS or PLC system. The configuration of the two wire sensor provides for simple and cost effective installation. The C2300 can be wired into any RKI controller as well as into existing BMS or PLC systems. The heavy-duty electrochemical sensor is extremely accurate and stable as well as having a high level of repeatability, even after prolonged exposure to high levels of contaminant gas. The C2300 model can detect 34 different gases, making it preferable for most applications. Welcome to Australia’s leading supplier of fixed gas detectors, portable gas detectors, and controllers. Copyright © 2018 Control Equipment Pty Ltd. All Rights Reserved.